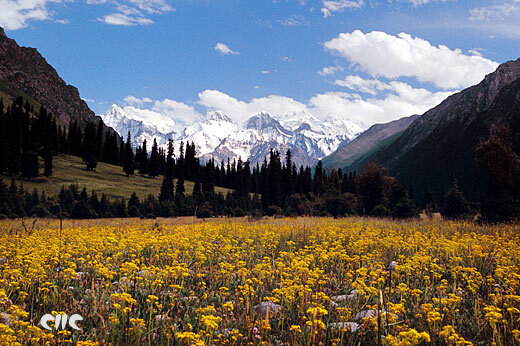 An exotic destination with ancient memories of the Silk Road, Xinjiang has much to offer to a visitor. 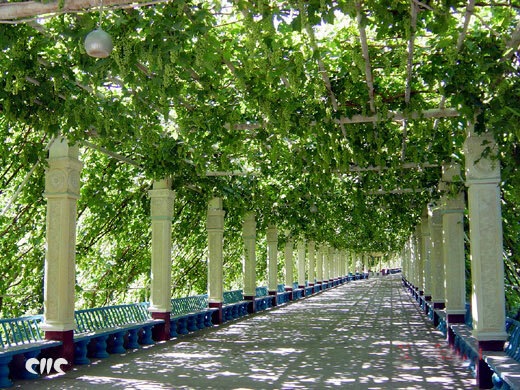 It is a place of the finest grapes and melons, rare precious stones, and exquisitely made carpets. Its people form a distinctive blend of cultures. Located in China's northwest, Xinjiang is where east meets west, where Asia connects with Europe as it has done since the days of the Silk Road. Xinjiang is rich in cultural and ethnic diversity for here the visitor might meet Uygur, Kazak, Kyrgyz, Uzbek, Sibe, Mongol, Hui, and Han people. They and the other peoples of this remote and evocative land are heir to a rich cultural legacy which has been handed down over the centuries. Travel in Xinjiang and you will be sure to come across fascinating cultural relics of a colorful past and you can see endless grasslands, timeless deserts, snow-capped mountains, glaciers, and wonderful clear lakes and rivers for this is an area of outstanding natural beauty. Known in full as the Xinjiang Uygur Autonomous Region, its location in China's northwest places it in the hinterland of the Eurasian Continent. Its 1.66 million square kilometers make it the largest of all of China's autonomous regions, provinces and municipalities. In fact it accounts for no less than one sixth of the total territory of China. 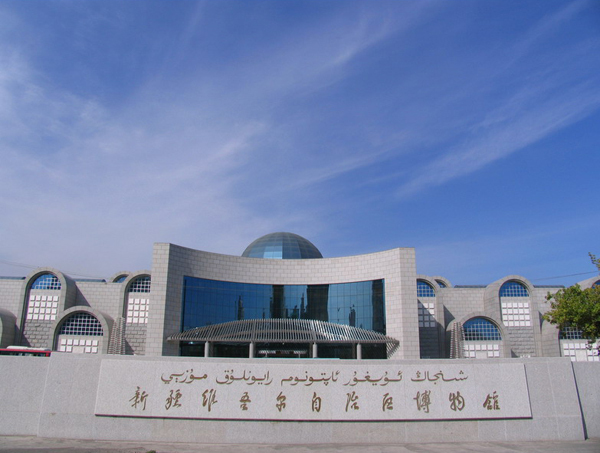 It is a real frontier territory for its 5,600 km of national borders place Xinjiang in neighborly contact with no fewer than eight different countries. These are Russia, Kazakhstan, Kirghizstan, Tajikistan, Pakistan, Mongolia, India and Afghanistan. Just as in those far off days when Xinjiang was an important link in the Silk Road, today it represents an increasingly important land bridge between east and west. The region has 14 administrative prefectures, autonomous prefectures and cities, which all together have a total of 85 counties and cities under their jurisdiction. 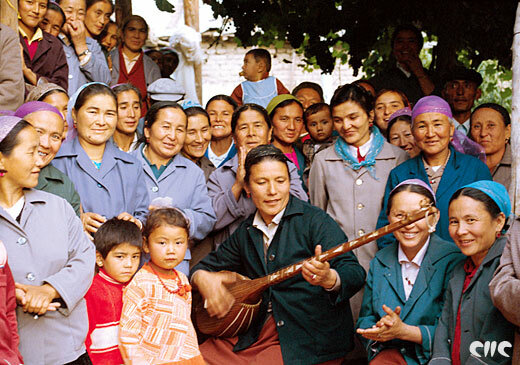 The 2003 statistics put Xinjiang's population at over 19 million. And this must be a good place to live as it is renowned for the longevity of its citizens. The third national population census revealed it was home to a disproportionate number of centenarians for Xinjiang had 865 out of just 3,765 in the whole of China. Xinjiang's topography features three broadly parallel mountain ranges with two basins lying between them. Running in the middle, the Tianshan Mountains divide Xinjiang north and south. 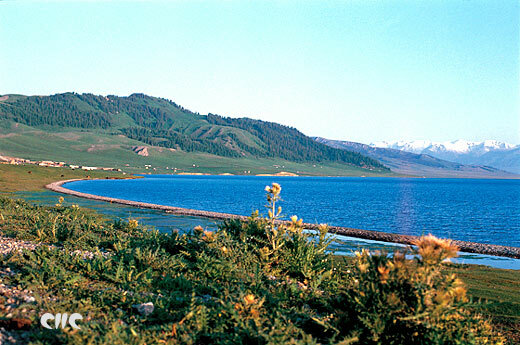 Go north across the Junggar Basin and you will come to the Altay Mountains. Cross the Tarim Basin to the south and you will come to the Kunlun Mountains but you will need a good guide for the Tarim Basin is where you can encounter the famous Taklamakan, China's largest and the world's second largest, desert of shifting sands. At 2,100 km the Tarim River is China's longest inland river. Go down into the Turpan Basin and you will come to the lowest lying place in China at 154 meters below sea level. 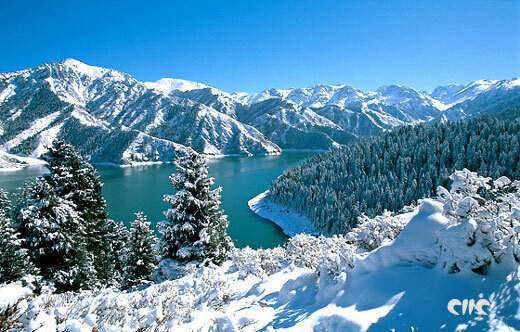 Xinjiang enjoys the typical dry continental climate of a temperate zone. Outside of the deserts, it is a green and pleasant place with abundant sunshine (2,600-3,400 hours per year), moderate temperatures, and good water (annual surface water flow is 8.8 billion cubic meters, underground reserves are 25.2 billion cubic meters, and glaciers covering an area of 24,000 square kilometers hold reserves of a further 2,580 billion cubic meters). 2003 statistics show that the region has 68 million hectares of land (41 percent of its total territory) suitable for farming, forestry or grazing. Of this some 4 million hectares are in cultivation while a further 9 million hectares still remain available for upgrading to farming. 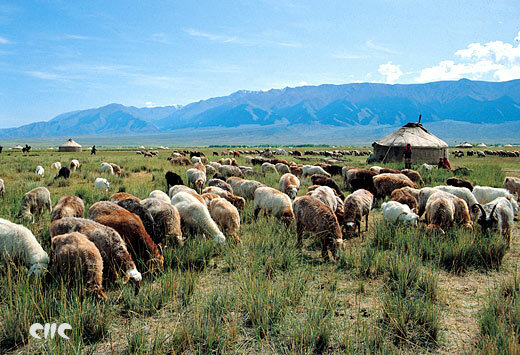 Xinjiang is one of the nation's five major grazing areas with 48 million hectares of natural grasslands and 666,700 hectares of manmade pasture. It has nearly 5 million hectares available for forestry and some 1.5 million hectares of standing timber hold timber reserves running at 250 million cubic meters. The authorities have been working hard to protect and improve the environment. For example some 63 percent of days met the demanding class 1 or 2 national standards for air quality (a 5 percent improvement year on year). 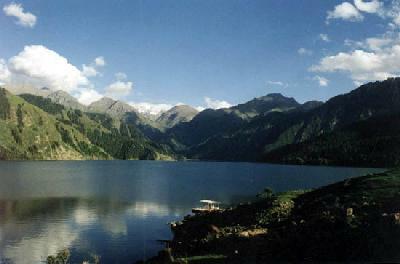 Xinjiang is rich in mineral resources. It has reserves of oil, natural gas, coal, gold, copper, chromium, nickel, rare metals, salts and building materials. Among the 138 minerals found in the region, 5 represent the largest reserves of that mineral existing nationwide. A further 24 rank in the top 5, and 41 in the top 10. Put at some 21 billion tons, the region's oil reserves represent 30 percent of China's land deposits. Similarly its 1,030 billion cubic meters of natural gas reserves account for 34 percent of the nation's land deposits. What's more, the region also has 40 percent of the country's total coal reserves. Then there are the sources of gold, rare gem stones and jade, for which Xinjiang has been known throughout the world since ancient times. 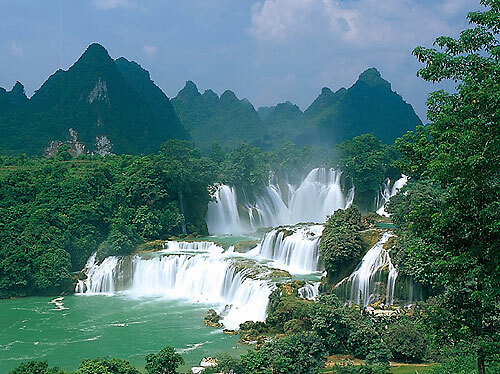 The region is home to many extraordinarily rich and colorful tourist attractions. 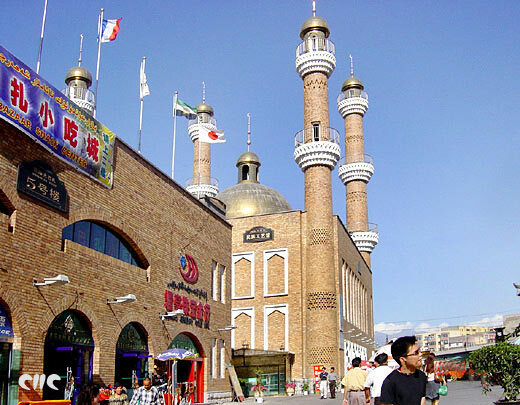 China lists 68 categories of tourist resources and no fewer than 56 of these are to be found in Xinjiang. Crossing the region, the traveler can encounter a wealth of varied landscapes ranging from glaciers to desert oasis. 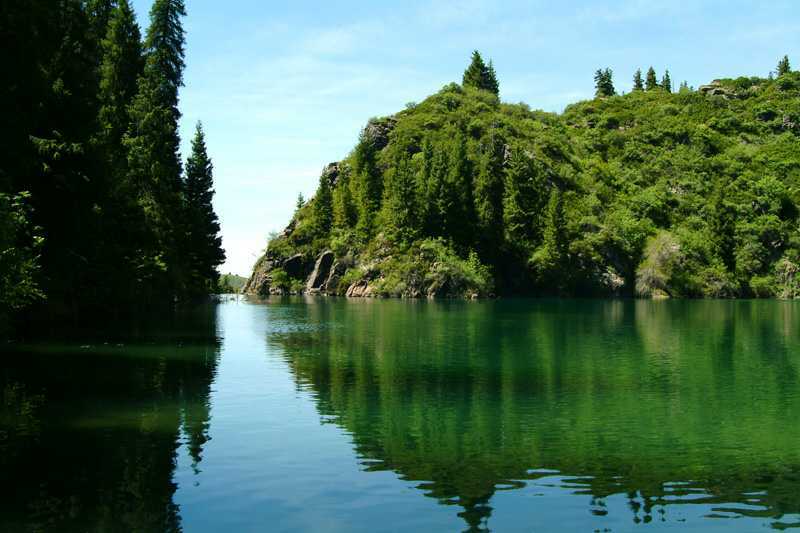 There are the vast Bayanbulak Grasslands and beautiful lakes that have become famous scenic attractions, such as the Heavenly Pond, Kanas Lake, Bosten Lake, and Syram Lake. Then there are the Flaming Mountains of Turpan so called for the deeply fissured red sandstone slopes which twist heavenward like flickering flames, as if the desert from which they spring was itself ablaze. 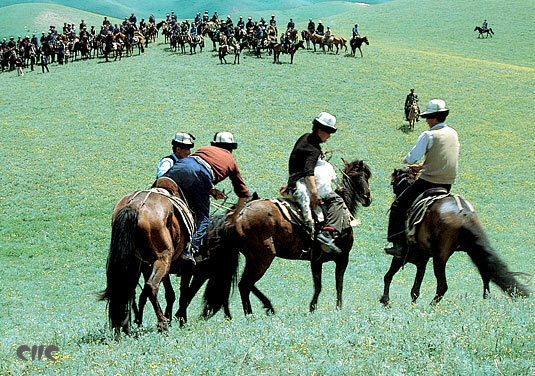 Some 5,000 kilometers of ancient Silk Road crossed Xinjiang. Along three routes through north, south and central Xinjiang, this has handed down a rich archaeological legacy. Of these treasures, the most famous are the ancient cities at Jiaohe and Gaochang, the ruins at Loulan, Kirzil's Thousand Buddha Cave and the Tomb of Xiangfei. And in the world of today, the colorful lifestyles and customs of the people of the many ethnic groups living in Xinjiang hold a special attraction for travelers to the western region. Occupying an important place in the government's development strategy for the western region, Xinjiang can see the pace of progress quicken as it looks forward towards a bright new future.